In order to keep running on a regular basis, you have to make sure you enjoy your running outfits or else you'll just feel "blah." So I decided to dedicate today's outfit of the day post to what I wear when I go on a run. Let's start from the bottom up! 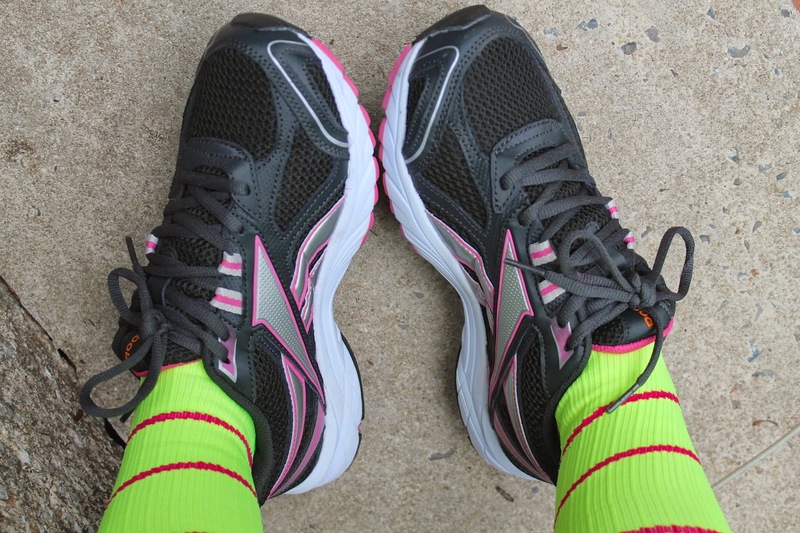 It's important to run in comfort so I make sure that I wear compression socks. These neon yellow and pink swirl from Pro Compression are not only stylish but they really help improve blood flow so it makes my legs less tired and they recover more quickly. 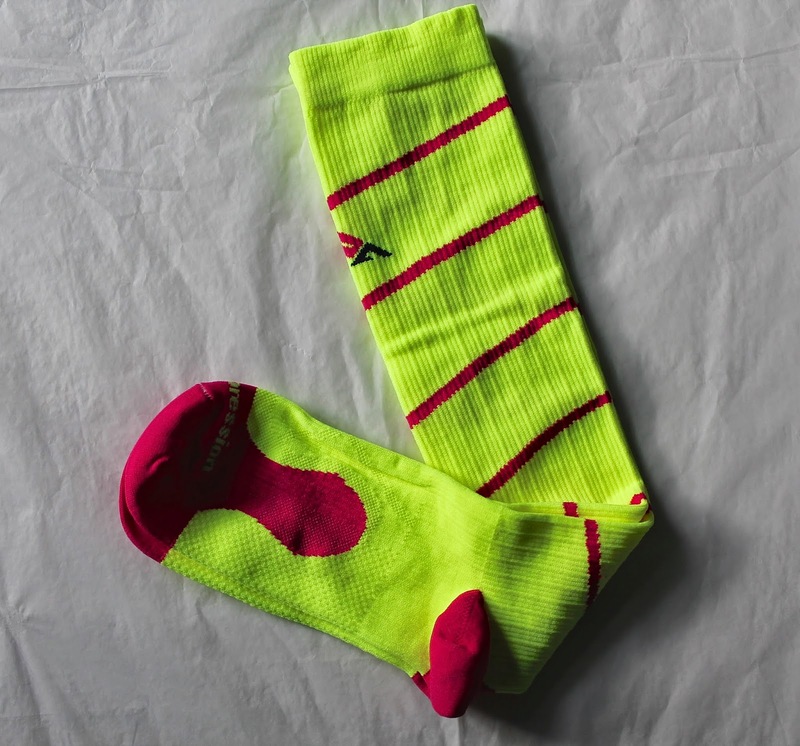 Marathon compression socks actually support muscles and tendons to help reduce swelling, soreness, and inflammation. I love that these never got slippery even hours after my run. 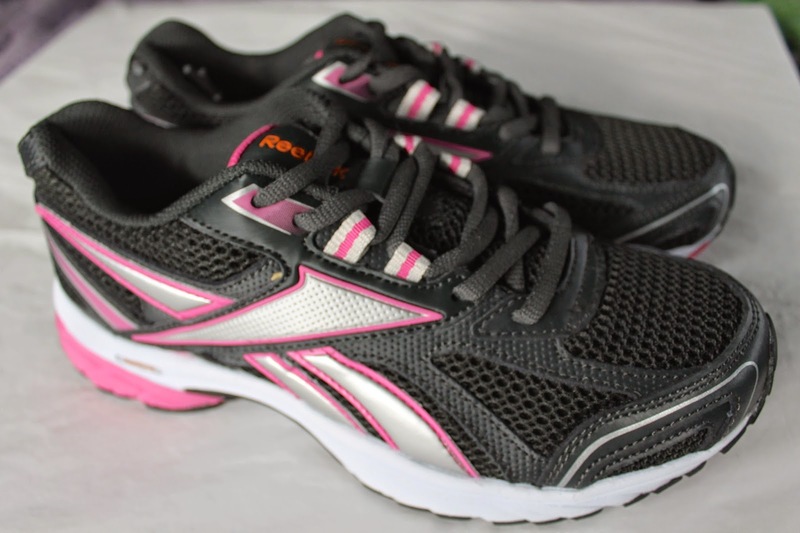 They didn't make me sweat, in fact they wicked away the moisture and they are so lightweight they didn't affect how my sneakers fit! Speaking of sneakers....I got these gems from Reebok. 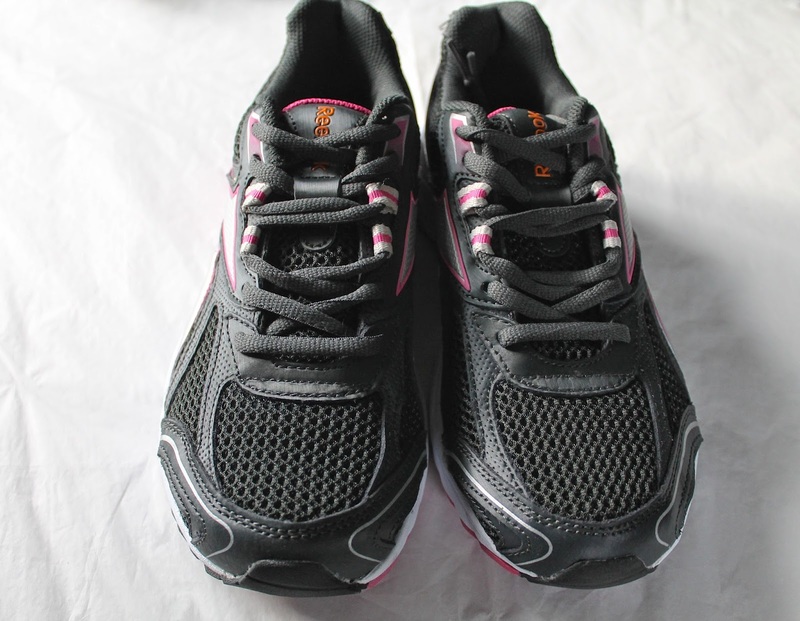 They are the Women's Pheehan Running Shoe. Honestly, these were as light as air and I didn't even have to worry about breaking them in. They actually helped cut down on my running time and after 3 miles, they didn't squeeze my fit at all! I really love the style and colors too. For the price ($60) they are very much worth it! I also found the low cut design to be very comfortable. 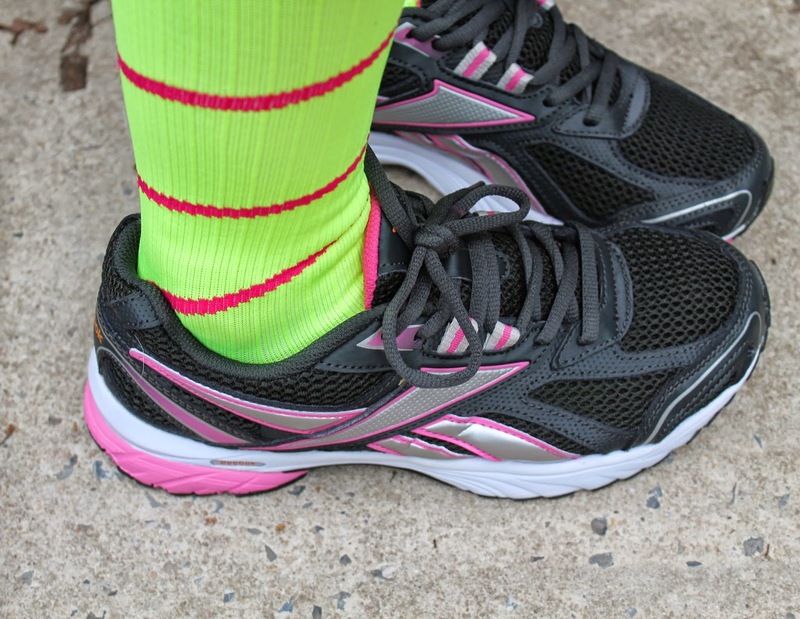 The other cool thing about the compression socks is that you can sign up for a Sock of the Month club at the bottom of the Pro Compression Home Page and you'll get great deals and new product announcements in your email! And my shirt was super comfortable. 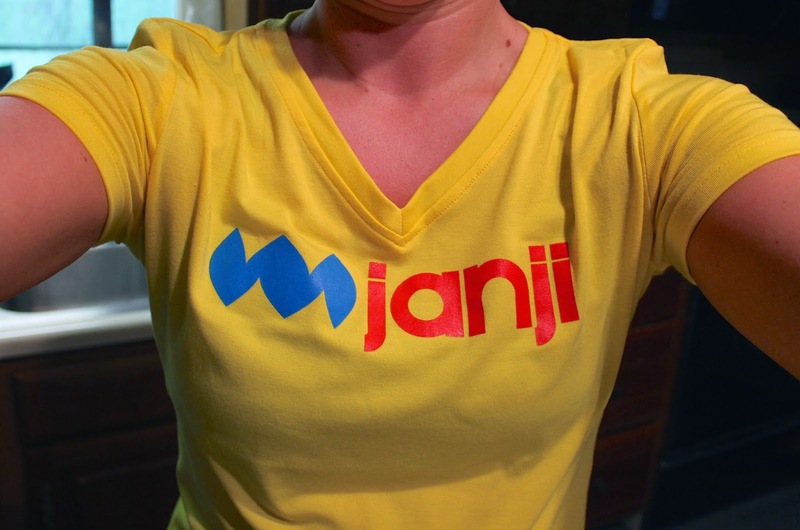 It's from Janji and it's so soft and lightweight! It's just a simple short sleeve shirt and each one of these shirts gives 8 meals to a family in need in the Greater Boston area!! How cool is that!!! I love the stylish V-neck and the fitted look. This shirt does a great job of wicking away sweat and it even has a reflective logo for added visibility. Although I normally run in tank tops, this shirt was just the same! 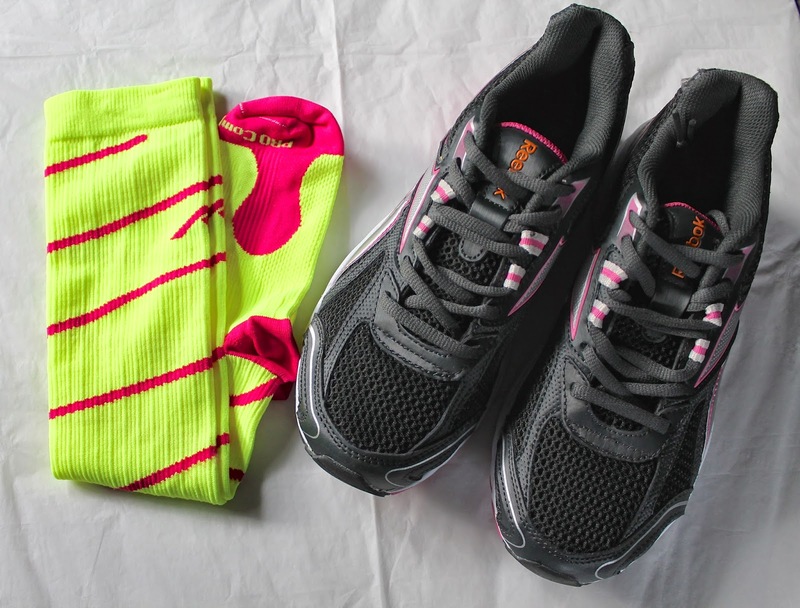 Marathon Socks - Pro Compression; Shirt - Janji; Pants - MPG; Women's Pheehan Running Shoes - Reebok. And guess what! 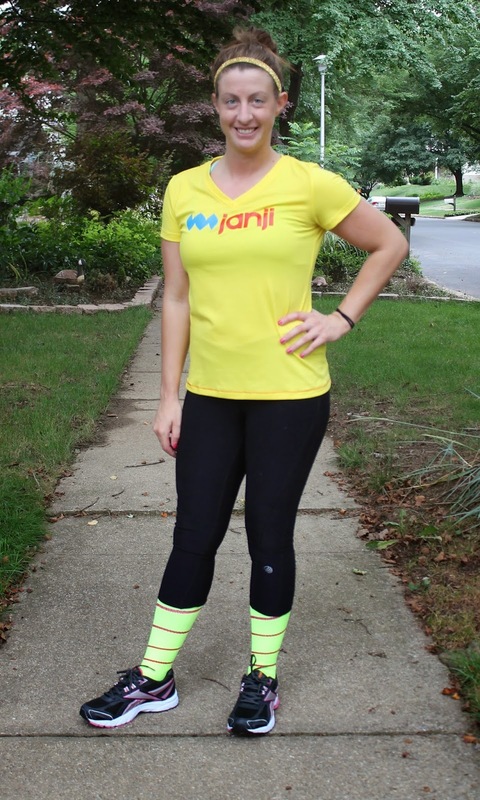 Not only do I have a coupon code for you to get your own Pro Compression gear AND a coupon code for Janji but I also have a giveaway. For Janji you can get 20% off using code ASKAWAY. You can use code BLG14 here to get 40% off Marathon Socks & Sleeves and get FREE shipping (US ONLY). And for the giveaway..one winner will get a pair of compression socks! !